I recently came across Siobhan Rogers blog 'Bea Spoke Quilts' because of the Auriful challenge in which both of us took part (here and here). There I found amongst other beautiful quilts one that was made entirely of text fabric which of course got me rather excited as I love love love text prints. On further inspection I found that Shioban had designed the fabric herself inspired by the movie or actually the watching of the movie 'Pride and Prejudice'. 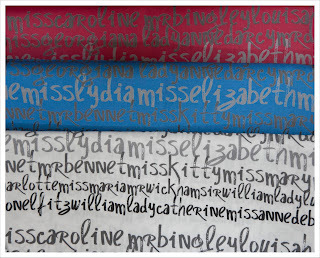 She sells this wonderful fabric via Spoonflower and I could not resist the temptation. This has also fuelled a desire to design my own print fabric and I already have an idea but that remains a secret until I have though it out properly. Ooh an exciting prospect at the end there! 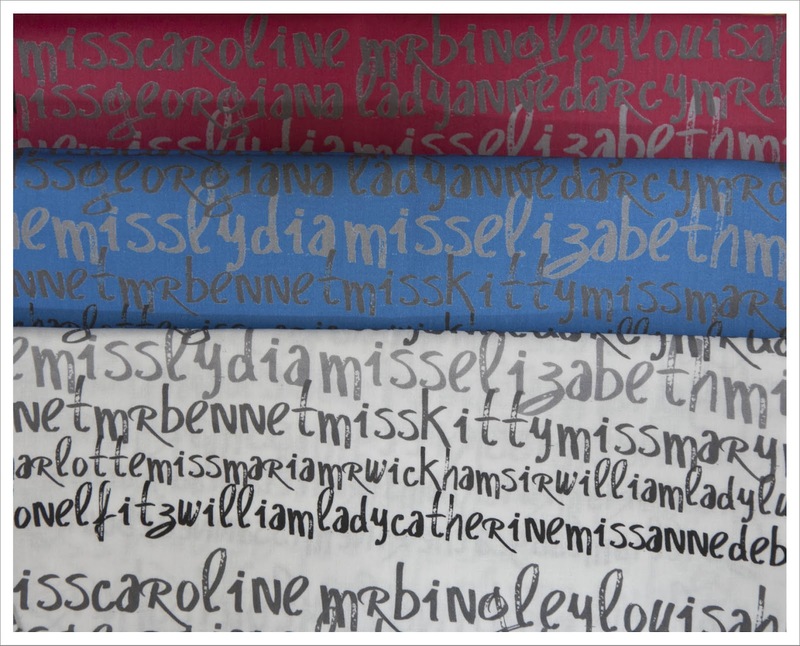 love these fabrics. 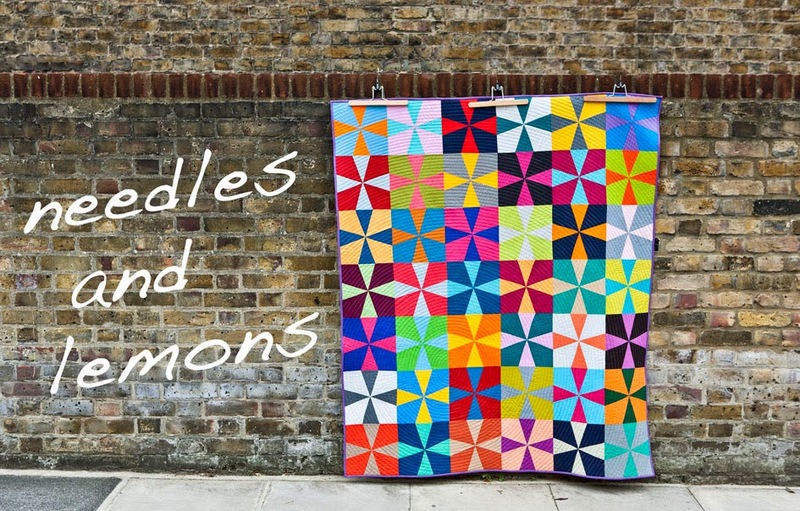 I'm going to pop over to spoonflower and have a peek.